Please note that the content of this book primarily consists of articles available from Wikipedia or other free sources online. 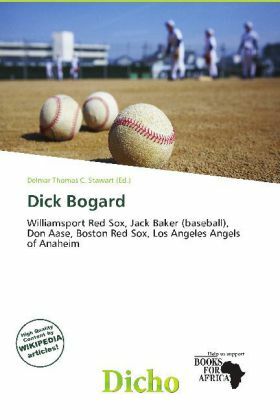 John Richard Bogard, Jr. (February 10, 1937 - August 29, 2003) was a minor league baseball player, manager and a long time scout. Bogard spent six years as a player, playing from 1957 to 1962. In 703 minor league games, he had a .287 batting average, with 677 hits in 2,362 at-bats. He managed the Williamsport Astros to a playoff appearance in 1968, however the team lost in the first round. In 1969, he led the Covington Astros to a losing record, and in 1970 he led the Williamsport Astros to a losing record.